Paris’ bid for the 2024 Olympic and Paralympic Games has launched what it calls an innovative and engaging legacy project of the Paris 2024 bid in schools across France celebrating the start of Olympic and Paralympic Week that will drive forward its vision and purpose to get more young people involved in sport and the Olympic Movement. The inaugural week-long celebration of sport, education and values as part of Paris 2024’s “Year of Olympism” from school to university program, is expected to reach more than a million children in its first year. Paris 2024 says the initiative, which will take place every January and become a permanent fixture, forms an essential part of Paris 2024’s ongoing education and legacy program. The bid committee says that by mobilizing the educational community to promote the values of Olympism and the practice of sport among young people in school, it is tapping into the collective imagination of the next generation to share their ambition of bringing the 2024 Olympic and Paralympic Games back to Paris for the first time since 1924. Schools participating in Olympic and Paralympic Week will balance their teaching time between general education, using sport as a teaching tool in subjects such as mathematics, history, geography, English, and physical and sports activities where students will be introduced to a range of Olympic disciplines. 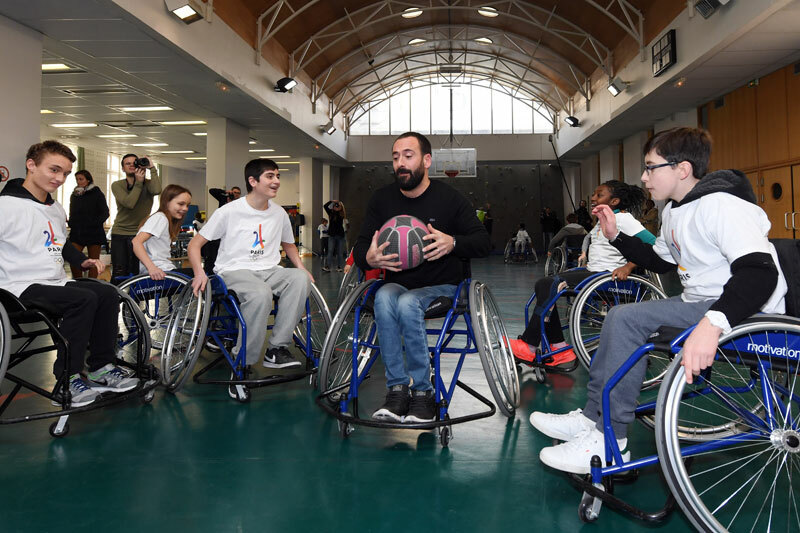 The cultural dimension of sport will also be promoted, as well as the idea of shared sport between disabled and able-bodied children, to change the way we look at disability. Throughout the week and beyond, top athletes will mobilize around the country to share their time and experience with schools. They joined Lapasset and Pierre-Yves Bournazel, in charge of the Olympic and Paralympic project for the Ile-de-France region to lead numerous sports activities with young people at the school, including boxing, basketball, table tennis and climbing blindfolded. Paris is competing for the 2024 Olympics alongside Los Angeles and Budapest. The host city will be selected by the International Olympic Committee (IOC) September 13 in Lima, Peru.